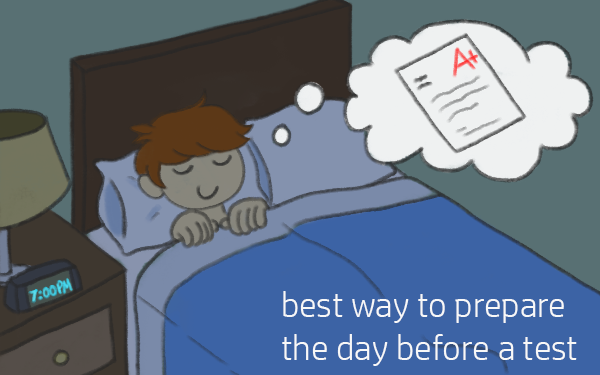 Don’t get caught in the trap of trying to cram the night before a test. You should begin to prepare before a test as soon as you know you have a test coming up. The day before your test should be spent reviewing your notes. Cramming the day before a test is never a good idea because you should be studying gradually all along, especially for the NCLEX. Make sure you know where you’ll be taking the test and know how long it will take you to get there. A good idea to prepare for a test is to leave yourself plenty of time to arrive at the test site so that you aren’t stressed worrying about being late. You’ll want to dress comfortably. If it’s hot outside, remember that you might be chilly in an air-conditioned environment. Plan to bring a sweater or jacket so that you aren’t distracted if you’re cold while taking the exam. Know what is required of you to bring to your test. These can often include a pen, pencil, or even a governement issued ID when it's time for your NCLEX. It helps to get a good night’s sleep the night before taking a test at school or sitting for your NCLEX. But if you’re nervous, it’s understandable if you have trouble sleeping. That’s why it’s a good idea to try and sleep well a few nights before you test also. When you wake up the morning of the test make sure you eat a healthy breakfast. It’s hard to concentrate if you’re hungry or running low on energy. If you have any questions about taking a test, make sure to speak to your instructors.